You would have find on your desk a commemorative object. Which is in line, and is be designed with our sustainabilty commitments. 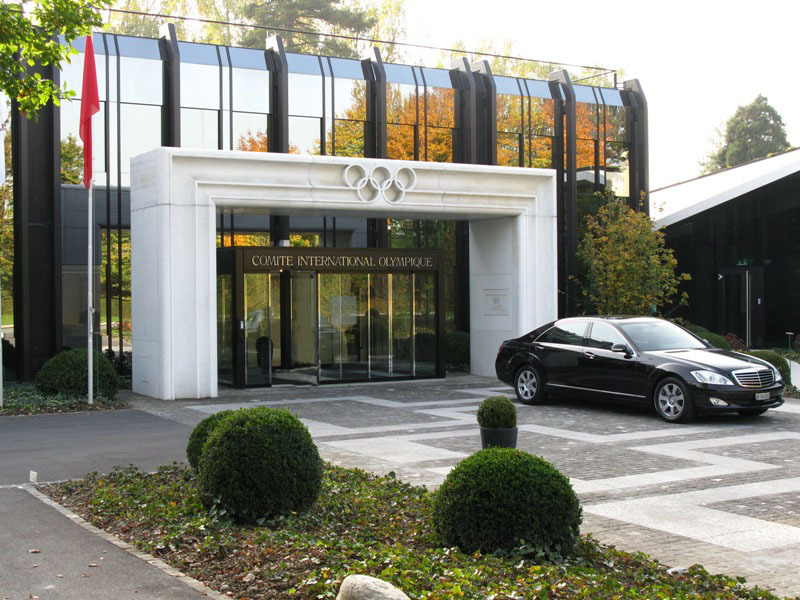 97% Of all material of the former IOC buildings have been recycled or re-used thanks to innovitive approaches. This object has been made from 100% re-used materials from the main entrance of the former IOC building. It is aimed at being a bridge, or symbolising a bridge, between the former and the future. Last April, I visited the construction site of the new IOC headquarters. You can read more here.